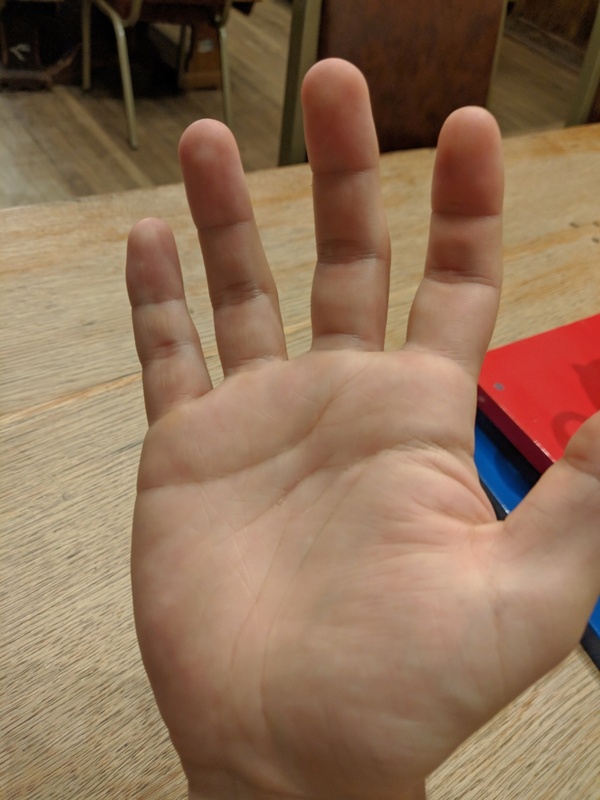 What is the age of this person and post the other palm image also The snap should be taken after pulling the thumb far apart, holding the palm tight and then taking the snap from the center of the palm and then post it with fingers pointing skywards. pravin kumar wrote: What is the age of this person and post the other palm image also The snap should be taken after pulling the thumb far apart, holding the palm tight and then taking the snap from the center of the palm and then post it with fingers pointing skywards. Double head line means two ways of thinking. The second head line starts about 20 years of age and from then onwards this person will like to take initiative to get success in life as then his confidence level will increase. The head line almost attached to your life line shows you are sensitive and find difficulty in taking initiative. [quote="pravin kumar"]Double head line means two ways of thinking. The second head line starts about 20 years of age and from then onwards this person will like to take initiative to get success in life as then his confidence level will increase. The head line almost attached to your life line shows you are sensitive and find difficulty in taking initiative. You have posted in another thread your palm print. Make only one thread as that causes confusion. It seems you know some palmistry and hence you ask about this Diamond? I do not see any diamond. Just see the quality of life and head line after what you say is a Diamond. Do they improve? Is your life and thoughts very superior? If it is a Diamond it will result in the above. pravin kumar wrote: Double head line means two ways of thinking. The second head line starts about 20 years of age and from then onwards this person will like to take initiative to get success in life as then his confidence level will increase. The head line almost attached to your life line shows you are sensitive and find difficulty in taking initiative.